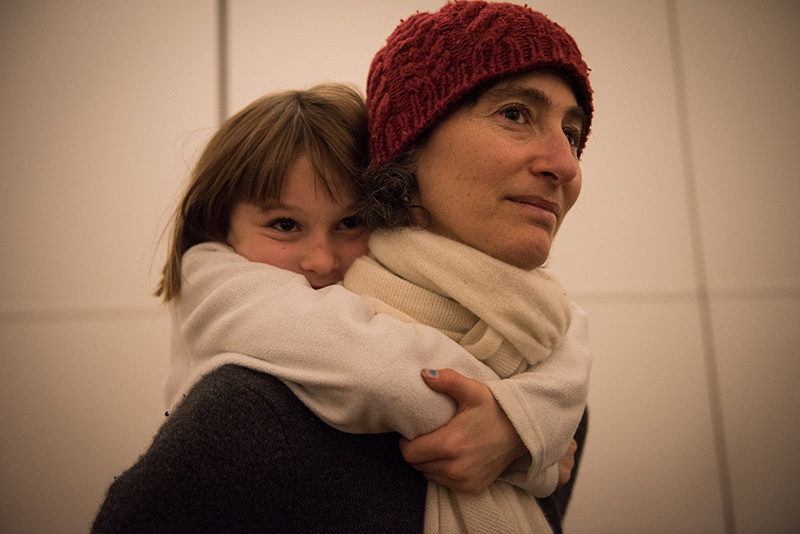 Family chorus concert will brighten the darkest month. 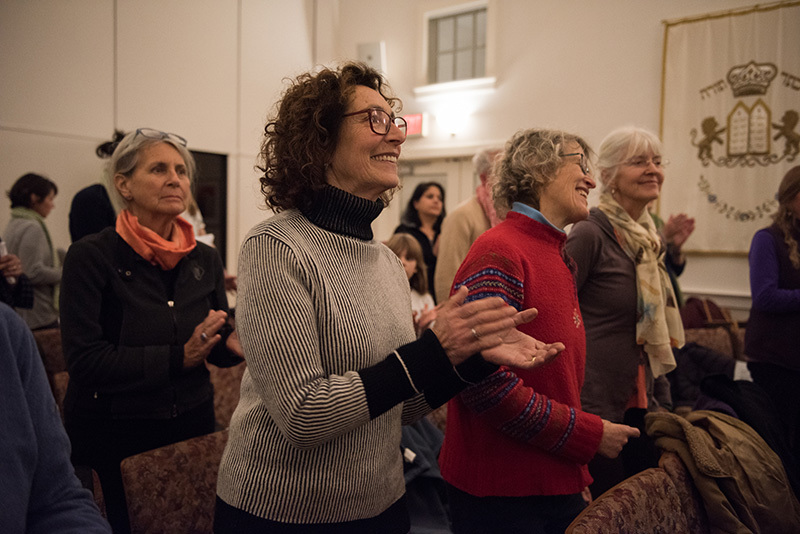 It’s been 18 years since Roberta Kirn, then music teacher at the Charter School, presented the very first “Songs of Peace, Hope and Light” concert, which has become a popular highlight every December. In the beginning she envisioned a concert around the Winter Solstice, not a traditional holiday concert, since there were already so many. 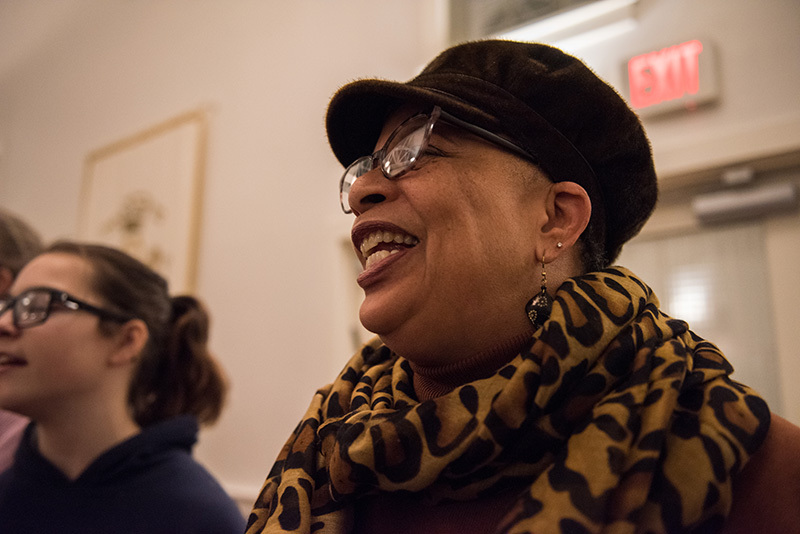 “I wanted to do something different, and invite everyone to sing,” she recalled. 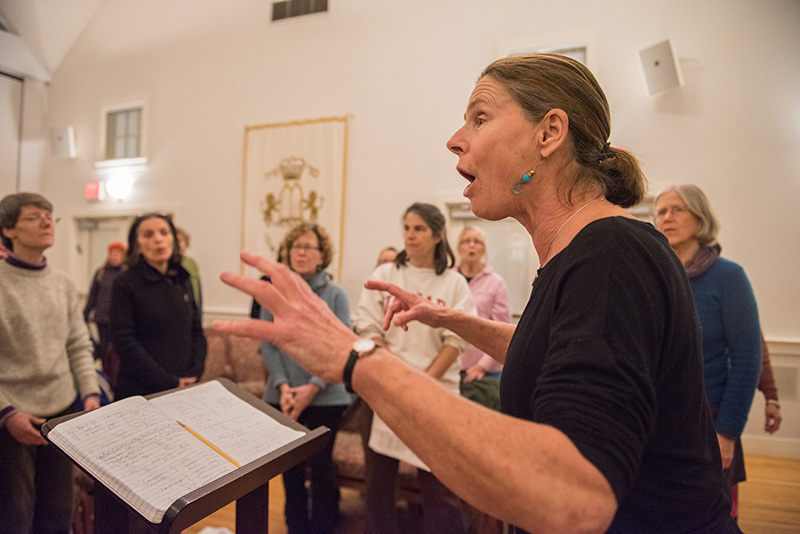 Next Tuesday evening, Dec. 18, Kirn will lead her Martha’s Vineyard Family Chorus of more than 50 singers, ranging in age from 5 to 70, in a new batch of moving, inspirational, and joyful tunes. 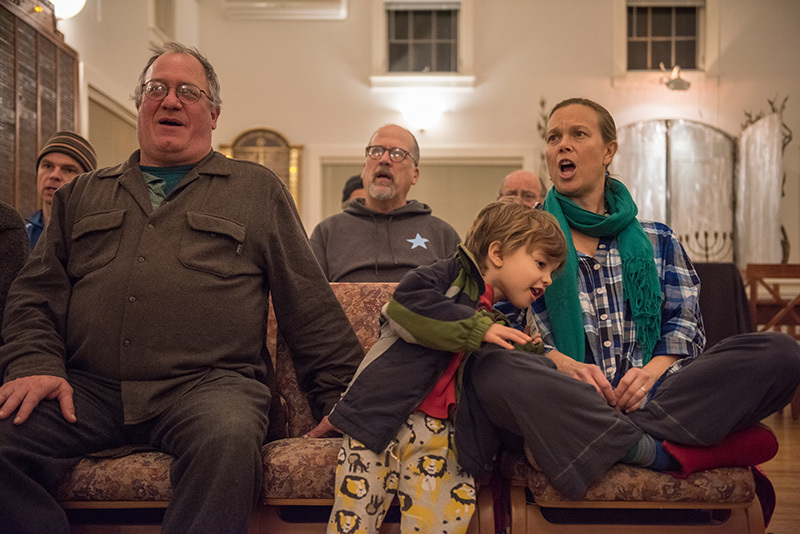 Kirn, a dedicated song leader who holds Community Sings on the Island each month, conducts group-singing workshops on and off the Island, among many other musical endeavors, and selects each year’s concert songs because she loves them herself. “I feel like the songs choose me,” she said. Another inspiring spiritual, titled “There Is More Love Somewhere,” sings of an unwavering search for love, honesty, truth, and more. “In this time that feels dark in many ways, it seems essential that we keep moving toward love and light,” Kirn said. Short solos will be offered by Kaila Allen-Posin, Jennifer Knight, and Kim Hilliard. 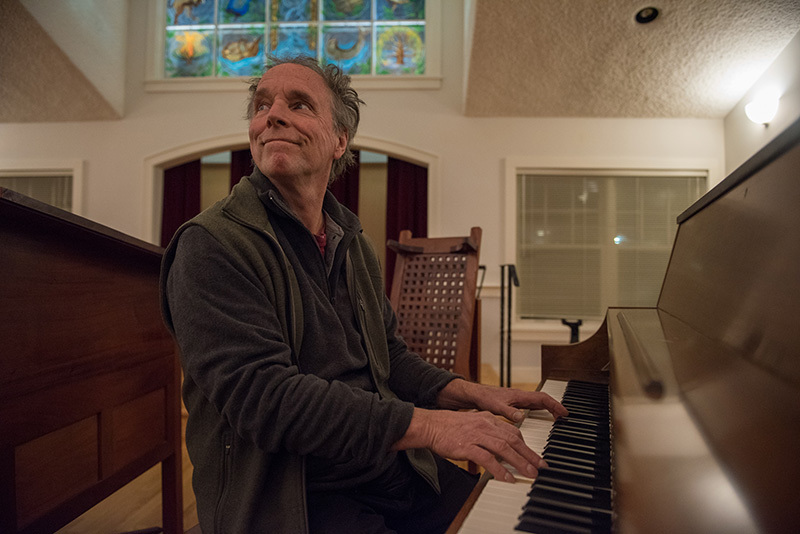 Brian Weiland, Paul Thurlow, and Mark Hurwitz will accompany several pieces on guitar, piano, and drums, though most selections will be performed a cappella. 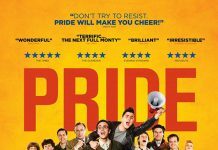 The audience will be welcome to join in on many of the songs. Kirn said members of the earliest choruses came primarily from the Charter School community. Now the M.V. Family Chorus has expanded to include singers from across the Island, some of whom she met through Community Sings or workshops. This year Kirn is thrilled that her daughters Marta and Teo Azzolini, recent college grads, will sing in the concert. 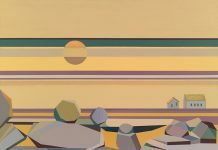 Although it has been nearly nine years since she was a school music teacher, Roberta Kirn seldom has a dull or quiet moment in her busy creative life. Nor has she stopped teaching, for although no longer working in a classroom, educating others about music comes naturally to her, and is part of everything she does. Along with her local Community Sings and workshops, Kirn travels globally through her own Song Exchange Project, working in Kenya, Zambia, South Africa, Italy, and beyond to learn, teach, and share songs among cultures. 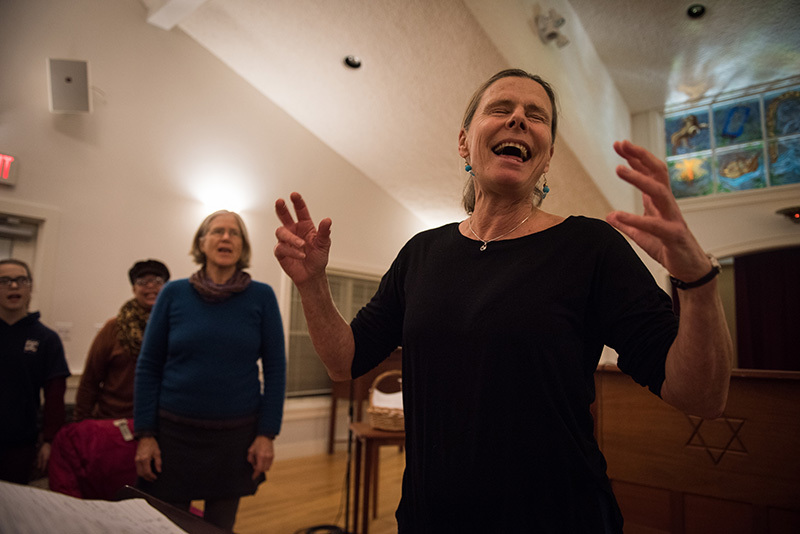 Late this month Kirn leads the Singing for Every Body and Soul workshop at Kripalu Center for Yoga and Health in Stockbridge. Next it’s on to Haiti, her newest Song Project site, then to Cuba in March. May will find her in California, teaching at a song gathering. 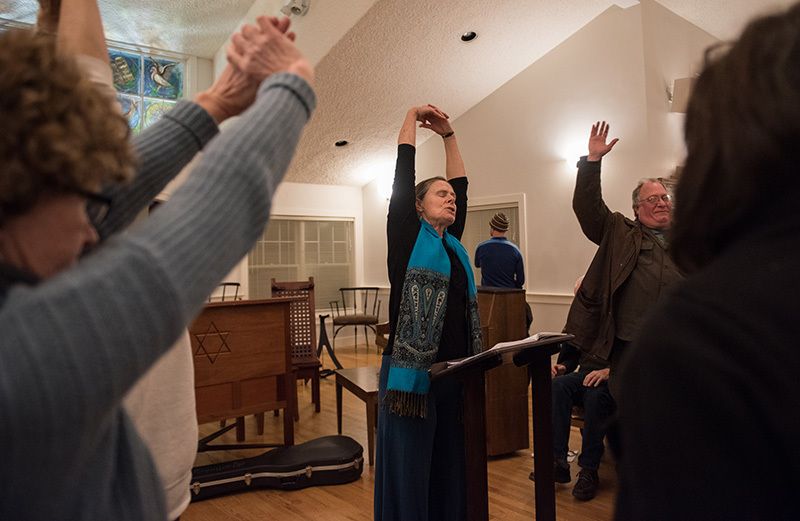 Bringing group singing into the corporate world and community gatherings to enhance health, happiness, and connection is another continuing project. 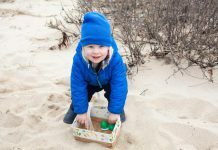 “I have a few things going on,” Kirn chuckled after sharing her packed to-do list. “Winter Concert and Community Sing: Songs of Peace, Hope and Light,” Tuesday. Dec. 18, 6 pm, Martha’s Vineyard Hebrew Center, Vineyard Haven. Free. All ages welcome.